We specialize in authentic 19th century ladies' fashion and furnishings. Gorgeous, romantic styles that are as relevant today as they were 100 years ago. By shopping with us, you can be assured of authentic styles, affordable prices, and genuine customer service. Thanks for visiting, and be sure to bookmark us. I ordered and quickly received a victorian hat. The hat was beautiful to look at and beautifully made, as have been every item I've purchased from Historical Emporium. Unfortunately, the hat sort of "wore me" rather than my wearing the hat, i.e., it was too much hat for my smaller frame. I was sad because it was so beautiful. My Victorian top hat will complete my Ebineezer Scrooge ensemble. Selection was great, price and delivery time were super. Packing also done with care. Awesome steampunk/Victorian look for my husband! Thanks so much! Just what I was looking for, and one-stop shopping! 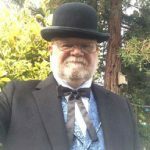 Historical Emporium is my "go to" shop for all things Victorian and Old West! A awesome shop with great quality and value. The selection is huge, the availability of various sizes is fantastic, and they ship everything in a timely manner and at a reasonable price. Love this place!